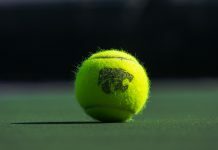 The Kansas State tennis team continued their perfect home record after a double header this weekend, taking down Missouri State 7-0, followed by a victory over the University of Connecticut 6-1. The wins bring their record to 4-0 at home. It was the same story, different year with Missouri State, as the Wildcats beat them for the second consecutive year. 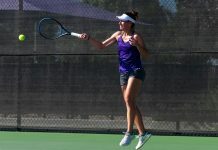 The one and two spot for the Wildcats, junior Carolina Costamagna and sophomore Millie Stretton, continued to dominate anyone in their path, beginning with Missouri State. Costamagna knocked off Missouri State’s junior Anelisse Torrico 6-2, 6-2 at the No. 1 spot, followed by Stretton defeating sophomore Fati Khamissi with an impressive outing taking the No. 2 victory 6-1, 6-1. The Wildcats managed to snag the doubles points in dominating fashion, with pairs sophomore Ana Garcia Navas and Stretton and senior Iva Bago along with freshman Ines Mesquita coming out on top. Later on, K-State picked up a win in their first-ever meeting with the University of Connecticut. 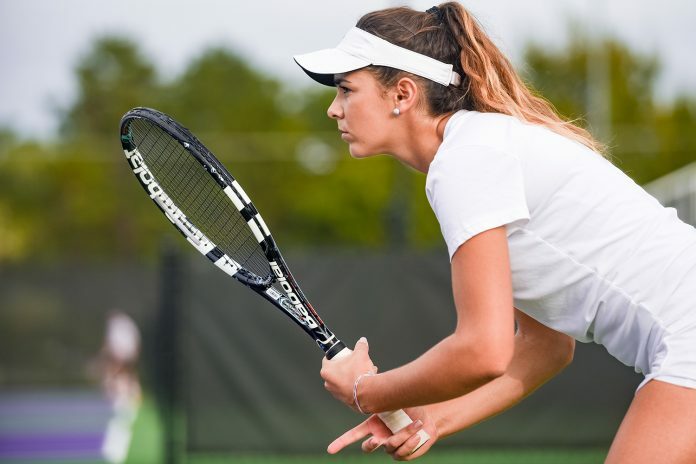 Costamagna fell short on her first set 0-6 to senior Emma Alderman, however, she managed to find her rhythm, winning the next two sets 6-4, 6-1, taking the point at the No. 1 spot. Both pairs for the Wildcats picked up a win against the Huskies in doubles competition, bringing them each to winning their fourth consecutive match. Bago and Mesquita knocked off the University of Connecticut’s pair junior Zaina Zaki and sophomore Jacqueline Lazaro 6-3. Navas and Stretton continued their hot streak taking down sophomores Gillian Perrotta and Jacquelyn Fitz-Randolph with a 6-3 victory. K-State’s Maria Panaite added another singles victory, bringing the senior to an undefeated 4-0 record this season. Senior Livia Cirnu has the longest win streak for K-State this season, bringing it to five in a row after winning her match on Friday. The Wildcats will look to continue their dominating home win streak as they welcome the University of Missouri on Feb. 10 at the Body First Indoor Tennis Center.